Mabel Chong's Kite Earrings are woven at the center with soft silver Labradorite Gemstones. 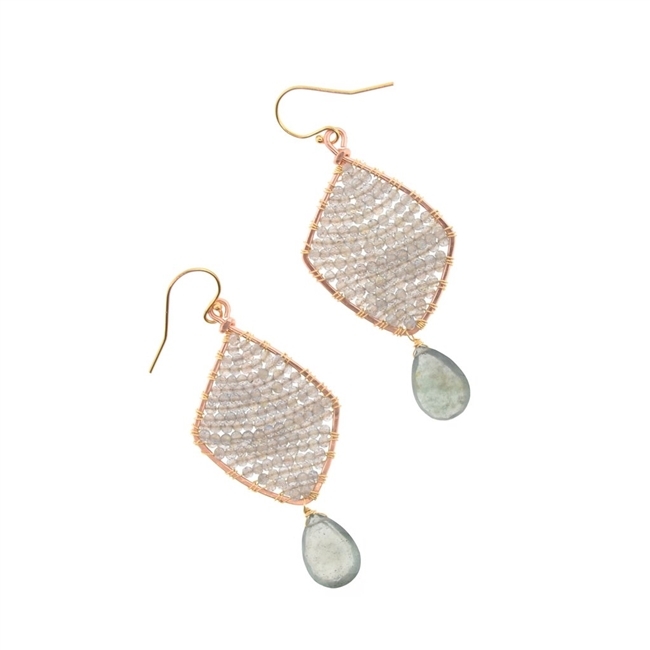 These have an Aquamarine Teardrop Gemstone drop. Made in 14k Gold Filled Wire. L 2 1/4" X W 1"